My friend, Ali (she takes all of the incredible professional pictures that have been up on the blog), has told me that the best camera is the one you have with you which is usually my phone so the next 2 weeks of photos aren't as crisp and vibrant as they would be from the big, fancy camera but they are of my boy so they are still beautiful. This photo was one of my favorites from our New Orleans trip. 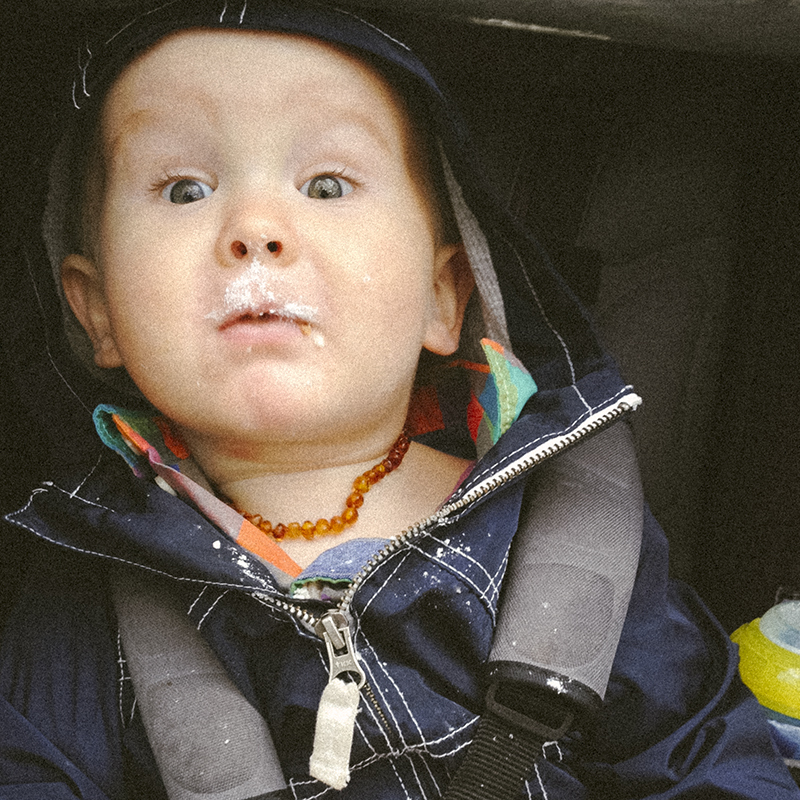 He may not remember his first taste of powdered sugar off of a beignet but I know I won't. Participating in the 52 photo project. She's right! What a cutie!!! Okay, I have to ask! I see that necklace on so many blog babies, where's it from & why is it so popular!? I think it's really cute but there has to be a story behind it becauseI see it everywhere, I feel like a bad "blogger mom" for not knowing! It's an amber teething necklace. I was the same as you before until I looked them up! Amber is supposed to reduce inflammation and help soothe aching gums. Maybe hippy voodoo but my guy grew 14 teeth by a year and wasn't totally miserable! Ha, that is a hilarious photo.